Vous pouvez également utiliser 6000 Kobo Super Points pour l'obtenir ! While "knowing your enemy" has long been a Chinese stratagem, cultural intelligence only recently has gained precedence in American military strategy. Our efforts in Iraq, Afghanistan, and the war on terror remind us of how differently much of the rest of the world thinks and perceives. This monograph is an effort to better understand Chinese thinking. Ms. Susan Craig's research into Chinese threat perceptions is important for several reasons. 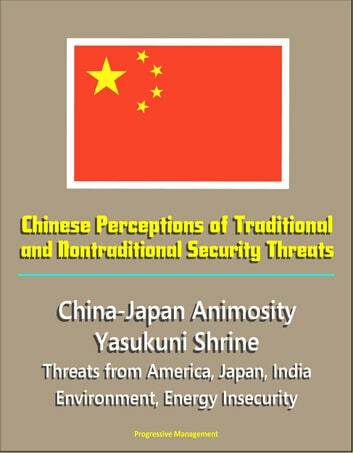 Above all, it provides valuable insight into the comprehensiveness of the Chinese concept of national security and how China perceives itself, the world, and China's place within it. 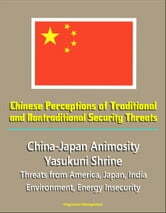 Further, the author's deliberate effort to maintain a Chinese perspective by relying solely on Chinese sources — namely, scholarly journals, the news media, official policy pronouncements, and personal interviews—demonstrates that Chinese intentions and motivations are not a secret. The author's research shows that there is a significant amount of information about Chinese concerns, perceptions, and motivations that is available openly, and that many of China's influential elite are willing and able to meet and openly exchange ideas. Also, it shows that there is an active arena for debate in China on national security issues. Likely due to the rapidly changing international environment and China's growing interest and participation in it, Chinese perceptions about its national security are more diverse, nuanced, and sophisticated today than ever before. By acknowledging that Chinese thinking is not monolithic, we can better appreciate and influence debates that are occurring. While Ms. Craig's analysis shows that the Chinese perspective is very different from our own, it also shows that the two perspectives may share a common view of the future. Both the United States and China aspire to a future with a free, open, and robust economic marketplace and an international order where all nations contribute to peace, development, and prosperity (in other words, where we are all "responsible stakeholders"). Despite Chinese fears, the United States does not strive to overturn the current world order; we have as much at stake in maintaining it as China does. We also confront similar nontraditional threats: terrorism, pollution, proliferation, energy insecurity, drug trafficking, and infectious disease. With cooperation in pursuing shared goals and overcoming shared threats, the threats we each perceive as posed by the other are likely to diminish. If that is not reason enough to study China's threat perceptions, perhaps beating the Chinese at their own game is. As Ms. Craig's research demonstrates, China's influential elite spends a great deal of time studying American policy and politics and has a very good understanding of American threat perceptions. In addition, this unique collection of American military documents provides a special view of recent Chinese military and policy developments. Contents: China Shaping the Operational Environment - A Disciple on the Path of Deception and Influence * The "People" in the PLA: Recruitment, Training, and Education in China's 80-Year-Old Military * China's Maritime Quest * The PLA At Home and Abroad: Assessing The Operational Capabilities of China's Military * Arms Sales To Taiwan: Enjoy The Business While It Lasts * China's Role In The Stabilization Of Afghanistan * The Coming of Chinese Hawks * Turkey and China: Unlikely Strategic Partners. This ebook also includes the annual U.S. intelligence community worldwide threat assessment in Congressional testimony by Director of National Intelligence James R. Clapper Jr.